120419-0011 - Views of Shimonoseki. Views of Shimonoseki, Yamaguchi Prefecture. 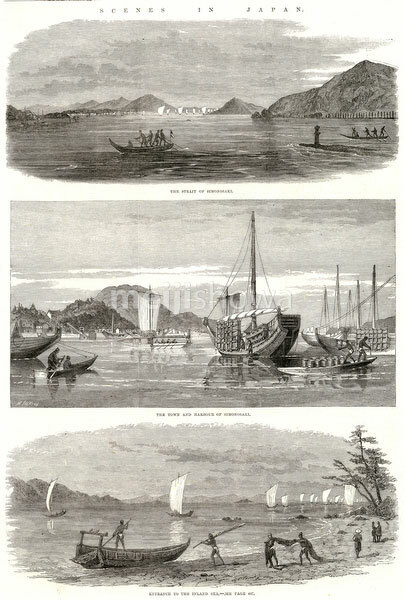 Published in the Illustrated London News on November 12, 1864 (Genji 1).